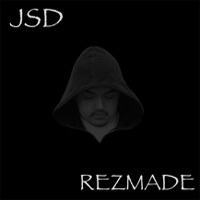 With the likes of Everlast, JSD (or Joe San Diego) puts it down without the sugar coating in his album titled “Rezmade.” No frills, no grand sampling; just the words and the experience behind it. Hailing from Ukiah, California, JSD comes out talking about everything he knows. With a little fun and a little filth talking about nasty girls and my favorite chug-a-lugging, as heard in “Chug-a-Lug Thugz,” JSD takes rapping to the hometown and makes it something friends would gather around to listen to (could possibly jump in and add some lyrics to, it’s that chill). There’s no pretentious floss here; it’s all about the fun of living, and the hard times too. JSD uses the right samples to help create a portrait of what it must be like to be venturing through the rough streets of the west coast. “Right Now Remix” gives the eerie feeling of being in the rough side of town in the dark and the build up is fantastic. The beat drops in just when you hope it would, and the song begins as well as the journey in the song. Simple beats and simple words, peppered, of course, with the colorful language of the street, keeps the focus on the message. There’s no overload or five different beats to keep your head spinning and dizzy. While the lyrics contain plenty of profanity, it isn’t in vain, and holds credit with the style and the audience it hopes to attract.